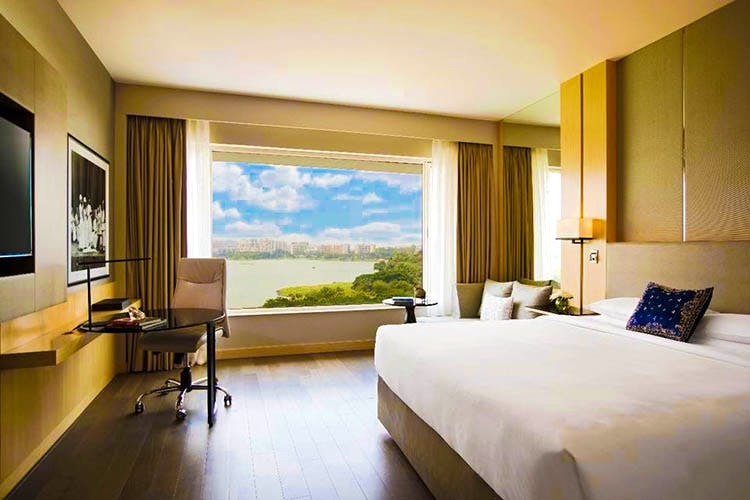 Did You Know There's A Pretty Lake View Hotel In Mumbai? Have a friend visiting Mumbai? Consider Renaissance Hotel, Powai. It’s swish, has a lake view and has all the amenities you would need for a great staycation. Located on the banks of Powai Lake, it has an arty vibe to it, despite it being a business hotel, which we love. Not only it’s known for its lake view, Renaissance Hotel, Mumbai has a lot of facilities you can make use of. For example, there’s a luxury spa (Quan) at your beck and call when you want to relax and a gym when you want to workout. You can also pig out at Fratelli Fresh Restaurant, or sample the Chinese buffet at Emperor’s Court, your call. Powai is also the centre of new, hip eateries and you can totally step out to grab a bite. Whether you want to have a staycation when don’t have the time to escape the city or have a friend or a colleague visiting for a purpose, Hotel Renaissance Powai will show you the way.